In his early lecture courses, Martin Heidegger exhibited an abiding interest in human life. He believed that human life has philosophical import while it is actually being lived; language has philosophical import while it is being spoken. 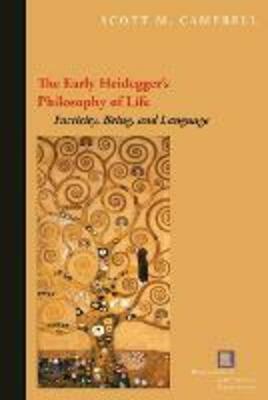 In this book, Scott Campbell traces the development of Heidegger's ideas about factical life through his interest in Greek thought and its concern with Being. He contends that Heidegger's existential concerns about human life and his ontological concerns about the meaning of Being crystallize in the notion of Dasein as the Being of factical human life. Emphasizing the positive aspects of everydayness, Campbell explores the contexts of meaning embedded within life; the intensity of average, everyday life; the temporal immediacy of life in early Christianity; the hermeneutic pursuit of life's self-alienation; factical spatiality; the temporalizing of history within life; the richness of the world; and the facticity of speaking in Plato and Aristotle. He shows how Heidegger presents a way of grasping human life as riddled with deception but also charged with meaning and open to revelation and insight.